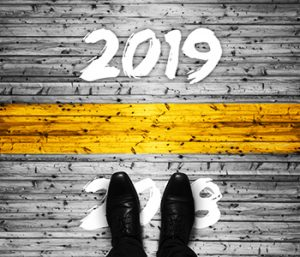 As 2018 comes to a close, take a look at what 2019 has in store for staffing professionals. It’s been quite a year for staffing. Revenues are rising about 4 percent, and confidence is high, with a growing economy, which means more jobs and more reqs to fill. With an ever-shrinking talent pool, staffing professionals are more in-demand than ever, helping clients fill positions from a dwindling supply of qualified candidates. That’s great news for the staffing industry. And hopefully you’re celebrating a successful year as you wrap up 2018. At the same time, some indicators and developments – such as sharply higher stock-market volatility and friction over tariffs and trade – are pointing to greater uncertainty for staffing in 2019. “Our industry’s fates and fortunes are largely tied to the broader economy,” says Barry Asin, CEO of Staffing Industry Analysts (SIA).Despite booming industry growth, most of you are still facing talent shortages, a bevy of new technologies to navigate and knowledge that next year you’ll be tasked with finding new and creative ways to fill your clients’ reqs—regardless of what the job market and economy throw your way.To help prepare you for2019’s staffing challenges, we rounded up five trends that you can harness for the best possible results in the new year, come what may. Even in the very tight labor market predicted for 2019, merely selling your firm’s ability to fill seats fast will fall short on two fronts: You’re not promoting how you’re different, and you’re losing out on the bigger margins of higher value staffing solutions. Offering total talent management solutions may be the answer. “Many staffing firms are pursuing a more total-talent approach to services, particularly among larger firms serving more sophisticated clients,” says Asin. Total talent management is a strategy that integrates workforce planning for temps, contractors, consultants and the human cloud, as well as full-time employees. “This approach does require a more holistic view of talent acquisition and typically a higher-level recruiter or HR professional to lead these efforts,” adds Asin. So a staffing firm’s business development executives and recruiters need the skills and experience to act as workforce planning consultants and to source qualified candidates from both contingent and permanent full-time labor pools. Your clients are naturally inclined to plug any contingent labor that you provide into their existing shift schedules. But in 2019, with contingent workers able to pick and choose assignments and schedules that fit their lives, you may need to work with clients to rethink how work hours are organized. Many staffing clients are becoming more open to deviating from their traditional shift schedules, says Asin. To sell flexibility, staffing firms can offer to fill seats faster. Staffing firms can find talent for their clients faster by reaching out to additional labor pools, such as candidates who are only looking for part-time work, or evening hours, four-hour shifts or other departures from full-time 9-to-5. As with total talent strategies, staffing executives and recruiters need to act as consultants, offering to map out the details of how work hours will be aligned with the work that needs to get done. Many staffing clients realize they lose qualified candidates by doing some screenings that are irrelevant to the job openings at hand. So they’re moving away from the practice of overscreening candidates and being much more selective about when to run background checks on certain candidates. For example, employers are doing away with credit checks on candidates for jobs that have nothing to do with finance, and eliminating motor vehicle record checks for non-driving positions. They’ve found they can hire needed workers fasters by screening strictly for job-specific requirements such as professional credentials. Staffing firms and their recruiters can make this happen by sitting down with clients and auditing their screening processes against what’s required for each occupation. Clients will be pleased to see reduced time-to-fill while also cutting hiring costs by skipping unneeded screenings. The current economic expansion is nearly 10 years old, and that’s very long by historic standards. In the later years of a growth cycle, some clients seek temp-to-perm or direct permanent placements, because qualified labor has become so hard to find. Based on these factors, SIA says permanent placements will grow 5 percent in 2019, compared to just 3 percent growth for contingent workers. Savvy staffing firms will embrace the conflict inherent in these numbers by working both segments of the market. Larry Feinstein, CEO of staffing firm Hire Dynamics, says employers and workers have opposing priorities these days. “Employers are offering more short-term assignments to closely manage labor costs, while talent is searching for long-term full-time opportunities with career advancement,” he says. You and your recruiters can capitalize by advising clients on the advantages of permanent placements for appropriate roles. Yes, rising economic uncertainty is likely to come into play in 2019. Asin, for one, expects the U.S. economy to power ahead in the first half of 2019, but perhaps soften somewhat in the second half. But the effects of a slowdown may not be entirely negative for staffing. Economic uncertainty usually causes some employers to think twice about increasing headcount, and instead to bring on temporary workers instead, for example. Our recommendation for staffing professionals in a year of potential economic volatility is to be flexible. Remain open to the idea of strengthening your contingent workforce, for instance, or focus on less permanent roles, if necessary. Ride the economy’s wave, but do so with strategies in place to weather whatever storm you encounter. Ready to put your 2019 plans into action? Our solutions for staffing and recruiting firms are a great place to start. CONTACT NISA TODAY! WE CAN HELP YOU REACH YOUR 2019 GOALS!